]. The plant also has a range of local medicinal uses. 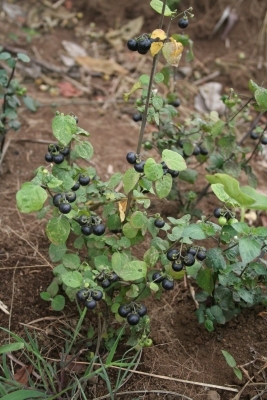 A form of Solanum nigrum derived in cultivation. Issued as a PDF on the Internet, it contains basic information on over 250 species of plants used for food in Benin. A reprint of a nineteenth century classic, giving details of vegetable varieties. Not really that informative though. ]. See notes at the top of the page regarding possible toxicity. ], see notes above on toxicity.